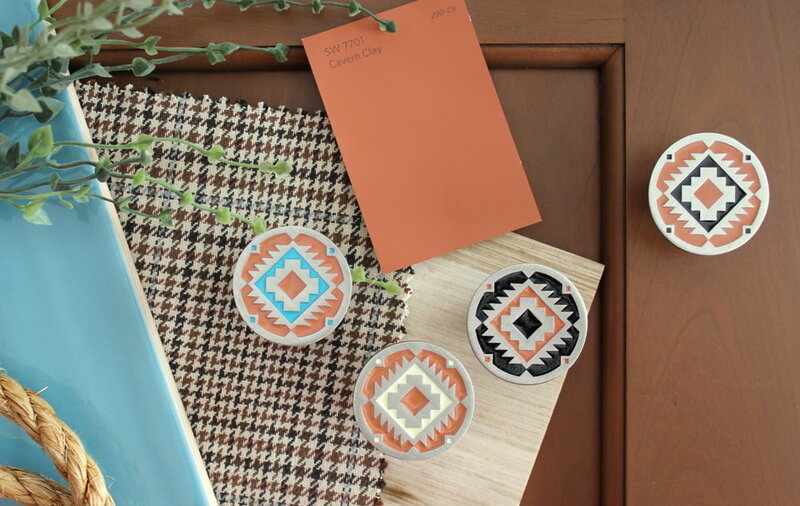 If you’re looking to create a modern desert aesthetic in a space, Sherwin-Williams’ 2019 Color of the Year, Cavern Clay, is a great place to start for inspiration. 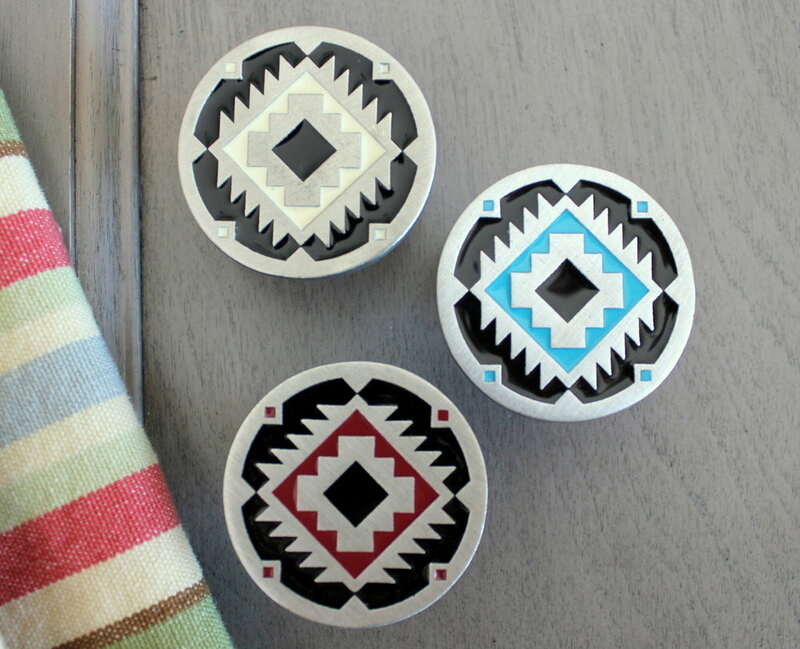 The warm terracotta shade is giving us major Southwest vibes, which is why we knew it would be a perfect match to incorporate into our southwest style hardware, Southwest Treasure. 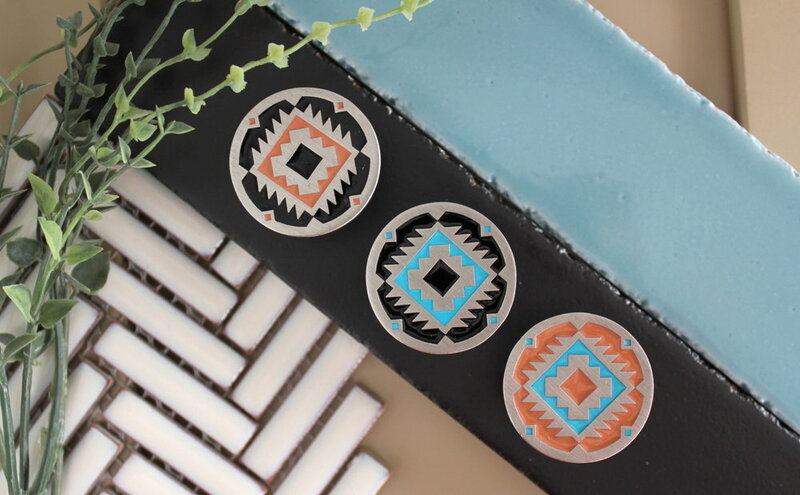 Inspired by Cavern Clay, Southwest Treasure is now available in four new color ways that bring the warmth and earthiness of this shade to any room in your house. 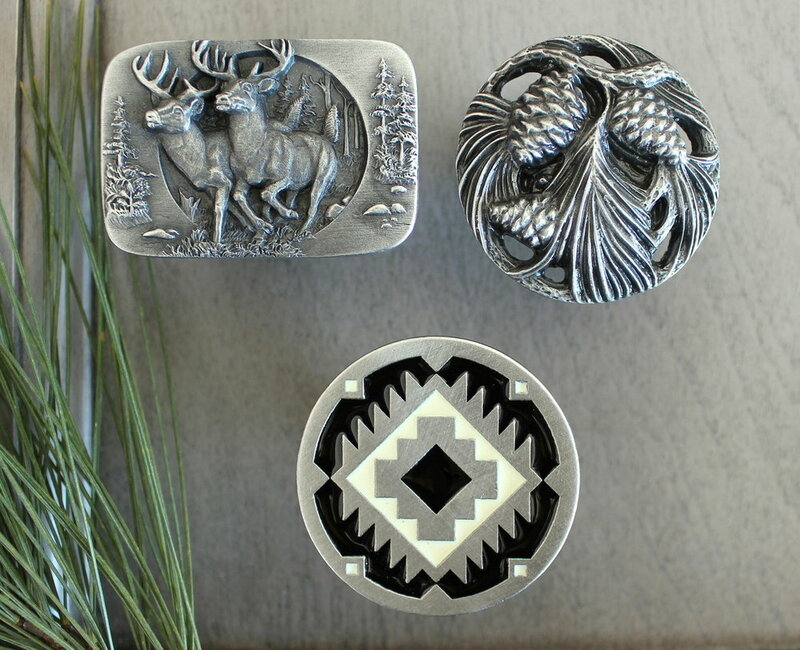 Pair them with other nature-inspired materials like leather, wood accents, unique tiling, and muted greenery to maximize the Painted Desert theme, or go in a more lodge-inspired Western design direction with darker wood accents, richly-colored oriental rugs, and stone focal points. For ordering information, check out our What’s New page!